Santander has agreed to meet Greenpeace activists later this week after the environmental organisation targeted the bank for giving loans to a company it says is carrying out widespread deforestation in Indonesia. In a similar tactic to its campaign against Lego last year, Greenpeace has set its sights on Santander as a secondary target in its campaign against Asia Pacific Resources International Limited (APRIL). Greenpeace said APRIL sought, and received, loans worth £400m from Banco Santander, the parent company in Spain, to expand its logging operation in Indonesia. 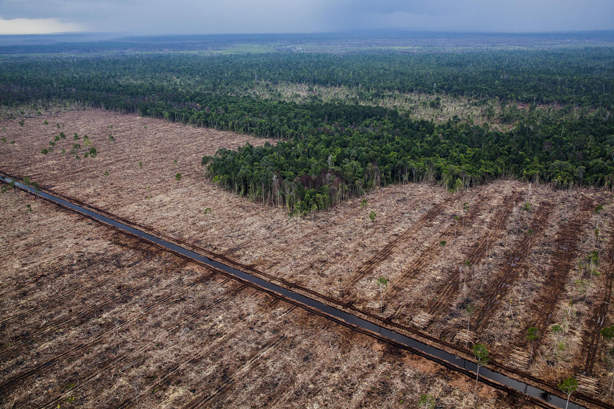 The campaigners said APRIL is clearing hundreds of kilometres of Indonesian rainforest for paper and packaging and destroying the habitats of orang-utans and tigers in the process. Greenpeace has released a film to show the rainforest destruction and mobilised 50 local activist groups in the UK to hand out leaflets to Santander customers outside bank branches. It has also gathered 125,000 signatures to a petition calling on the bank to stop financing deforestation, which includes the names of nearly 30,000 Santander customers. Greenpeace said it had also garnered more than 1.2 million views of its campaign video via Facebook since it was released yesterday, as well as 10,000 ‘likes’ and shares on social media. Greenpeace said it had not attempted to use traditional media to propagate its campaign this time. Pete Spellar, online campaigner for the Greenpeace forest campaign, said: "We wanted to combine some well-worn online campaigning tactics – social media, emails to a company, online petitions – with real-world campaigning where volunteers were visiting branches of Santander. With these tactics, along with a clear-cut motivation to take action – clear cutting of the rainforest for packaging – the well networked online environmental movement doesn’t need very much encouragement to join a mass campaign, and the level of engagement on this confirms that." In a statement on its website, Santander said it was a responsible business with "strict policies" on the environmental impact of its loans. "As a global bank, we have many companies working in the natural resources sector. Our parent company; Banco Santander, through its offices in Asia, has a business relationship with APRIL. In recent months, Banco Santander requested they undergo an independent audit into their environmental practices. This has been carried out by APRIL’s independent Stakeholder Advisory Committee (SAC) and KPMG, and APRIL will put out an action plan in response to their recommendations. We will continue to monitor the company’s progress against the agreed improvements and act accordingly." PRWeek understands that Santander will meet with Greenpeace activists later this week. How is Lego handling Greenpeace's pressure over Shell partnership?